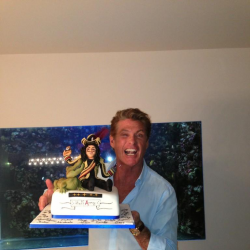 We were recently asked to create a cake for the 'Hoff Army' so they could surprise David Hasselhoff whilst he appeared as 'Hook' at the palace theatre in Manchester. He was that impressed with the cake he rang us up at the shop and ordered one for his nephew and his partners Dad. It was an honour to make all of them. 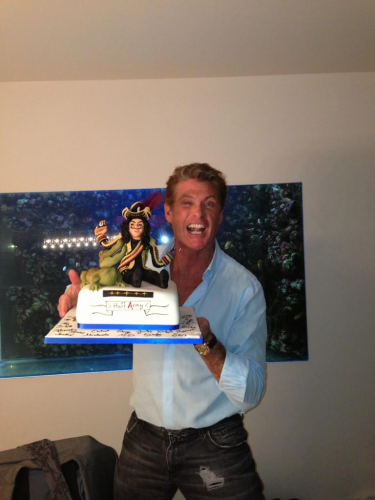 It was also very exciting to see him tweet the photos of him with the cake on Twitter and his personal web page.